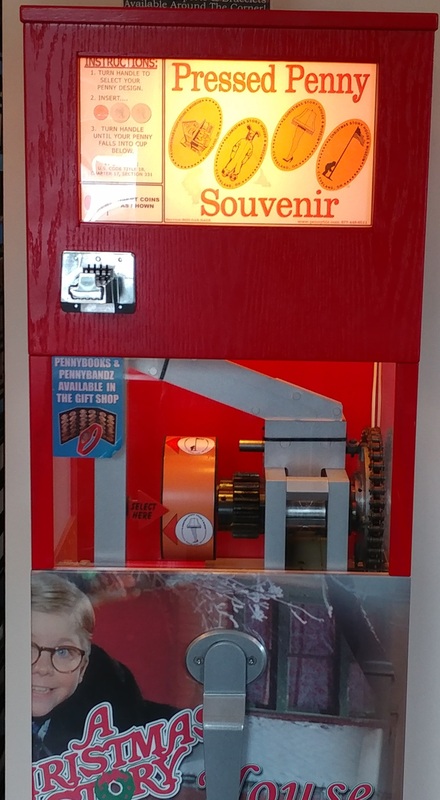 There is a penny machine in the gift shop with 4 designs. The machine is to the right when you enter, and you do not need to purchase an admission for the house tour to obtain the pennies. 4) Flick with tongue stuck to the flagpole. Jaclynn added Christmas Story House and Museum to system.